There are few feelings that rival the joy one gets when receiving a new kitchen gadget. Apart from the feeling when you use it for the first time. 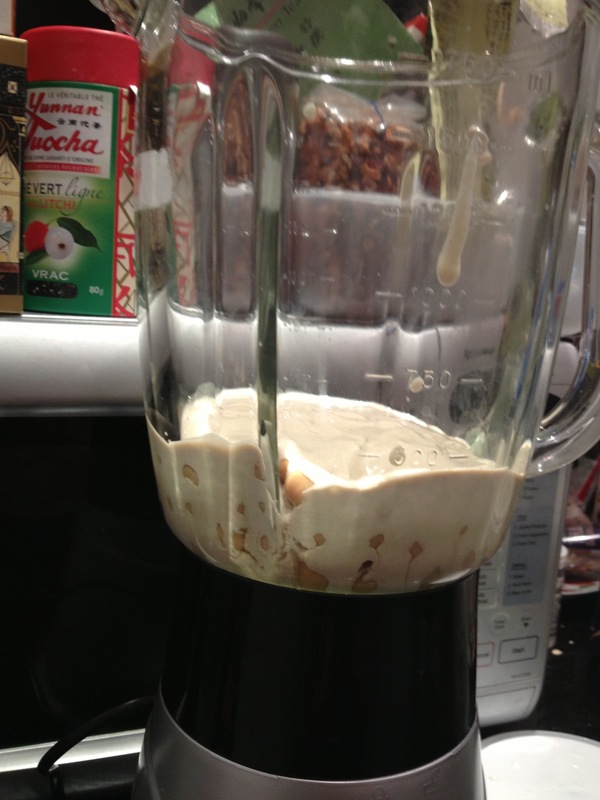 I have had this with my rice cooker, my masala tin, and now my blender. Thank you to my friend who was moving house and couldn’t take it with her – I was more than happy to take it off her hands! My boyfriend was quite possibly even more excited about this new blender than I was, and he immediately bought the ingredients to make hummus and smoothies. Both are ridiculously easy and delicious! Hummus experiences affect me so much I always feel the need to write about them… the good (Yalla Yalla), the bad (Hummus brothers – this was before I had my blog, so I used TripAdvisor) and the home-made. 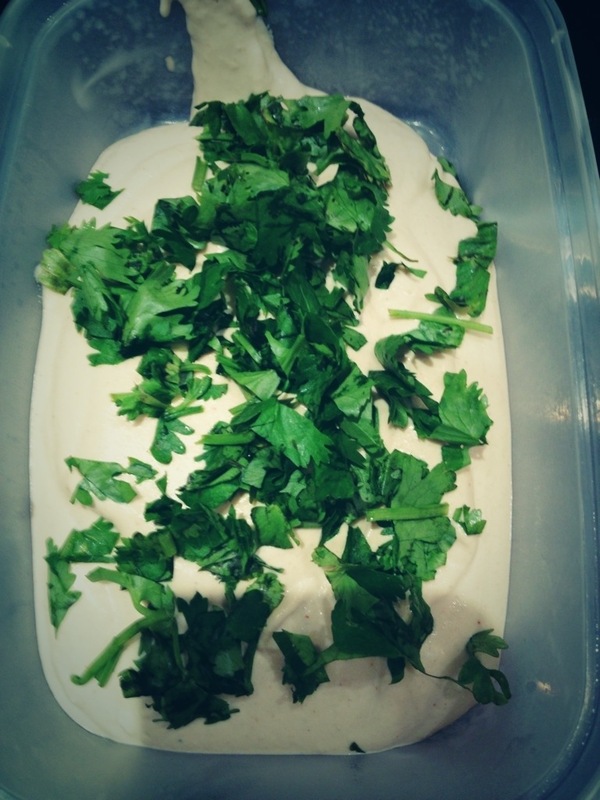 It’s incredibly easy to make hummus (provided you have a blender). My boyfriend, who was entirely in charge of the process, stipulates that this is the ‘poor man’s hummus’ or ‘Westerner’s hummus’, as we do not have access to the same spices as in Israel. Either way, it’s unbelievably delicious and can be combined with just about anything. In 2 days, I ate it with bread, carrots, crisps, halloumi and mincemeat, all to great effect! Serves 3-4 people (although I could have eaten it all myself…). The measurements can be confusing, but remember you can always add more of anything once you’ve tasted the blend. 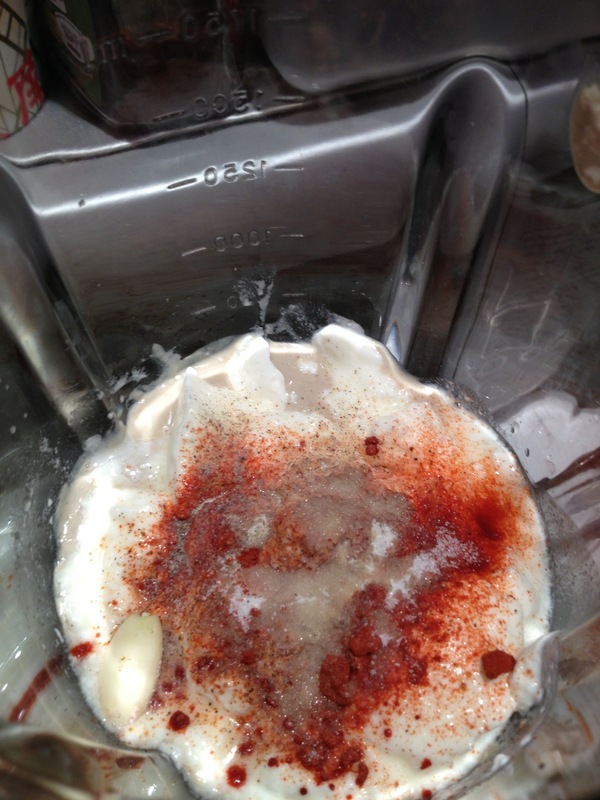 Drain the chickpeas and put them in the blender with all the other ingredients. Blend until smooth. Garnish with coriander. Voila! Serve with pita bread, carrots, cucumber or grilled halloumi (another recent discovery of mine which I can’t get enough of). Enjoy! I’ve never tried making hummus before. Neither had I – but it is really surprisingly easy. Give it a go! 🙂 Let me know how it turns out. I love hummus- I could eat pots of it! I understand how you feel about your blender. Buying my food processor and using it for the first time = one of the most exciting experiences I’ve had. That makes me sound quite boring but people who don’t know the joy of having one won’t understand!